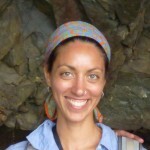 Amira’s research interests include coastal and island archaeology, environmental archaeology, hunter-gatherer and maritime adaptations, zooarchaeology, shell midden analysis, nutritional ecology, and historical ecology, with much of my research including aspects of marine ecology and biology. I have worked predominantly on the California Channel Islands (San Nicolas, San Miguel, and Santa Rosa Islands) and northwest California, though I have also worked in the Eastern Cape, South Africa and American Samoa, and am developing research interests in Baja California. My current research focuses on the trans-Holocene record of human occupation on the California Channel Islands through the analysis of two cave sites on San Miguel Island. I am interested in resource procurement patterns, human impacts on kelp forest and nearshore environments, and human management strategies for marine resources. Using an historical ecology perspective allows me to examine the interactions between people and the coastal landscapes they inhabited and examine how these interactions varied across islands and between regions, and how they changed through time.